I don't think I will ever understand deaths, I don't like people leaving. I will always be in denial and pretend that they never left, that I've not seen them in a long time. I have to calm down and find solace in writing as I've not slept since I heard. The tears will not stop rolling down my cheeks, everytime a moment spent with her crosses my mind. All those moments since I was a kid. I will miss you so much popo. It would be so different not seeing you around anymore. 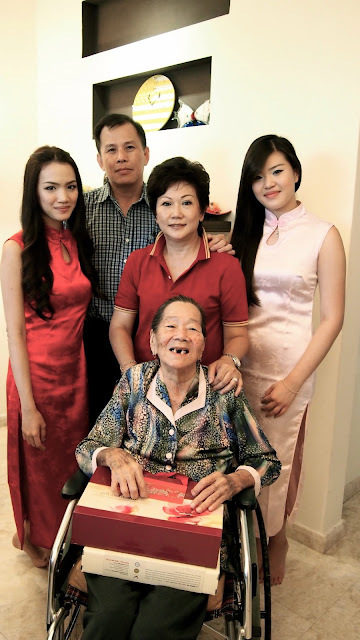 Every Chinese New Year would feel so different now, like something or someones missing. Every time I go to aunty's house, it just wouldn't feel right. I hope you lead a happy life popo, I hope you went peacefully but I wished you never left. I will be on a hiatus. Sorry my dear readers, but I can't be writing anything happy for the time now.